Since prehistoric times, gemstones have been used by spiritual gurus to heal and energize people and to protect them against evils. Even in these times of rocket science and aeronautics, folks have faith in the crystal healing power of gemstones. The spiritual and curing power of the healing crystal stones are abundant and can balance and sustain your health, vigor, luck, and love. Crystal healing is an alternative medicine technique that employs stones and crystals as healing tools. The practitioner places crystals on different parts of the body, often corresponding to chakras, or places crystals around the body in an attempt to construct an "energy grid," or to transfer energy properties of the stones to the client which is purported to create healing energy. This is a great book for a beginner. Every stone collector level can use this info as it also carefully explains other methods to clear your stones energies & how to balance your energies with them. (And more) Very refreshing! Definitely worth listening to while walking or working out numerous times until the content soaks. 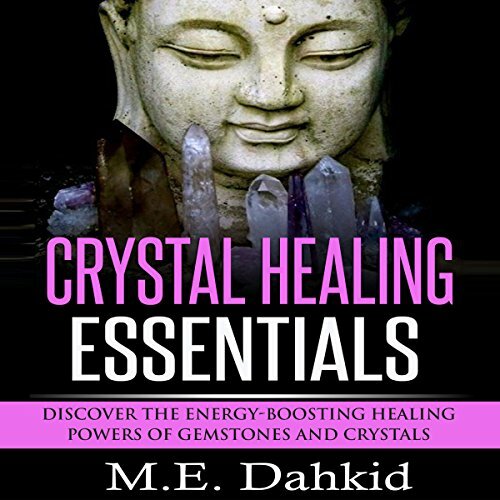 This book is short and simple but it serves as a great place to start for beginners wanting to learn more about crystals and healing.